“At this time the state would rest,” special prosecutor Joe McMahon said Thursday afternoon. Van Dyke is charged with first-degree murder after shooting McDonald during a police call in October 2014. He also faces 16 counts of aggravated battery and one count of official misconduct. State witnesses have testified McDonald was shot 16 times and that those bullets came from Van Dyke’s gun. Prosecutors showed dashcam footage of the shooting to jurors dozens of times. Two eyewitnesses said they saw McDonald walking away from police at the time of the shooting and not making any threatening movements. And an ex-FBI special agent who’s an expert in use of force testified that he believed the shooting was not justified. After the state rested, defense attorney Daniel Herbert asked Cook County Judge Vincent Gaughan to issue a directed verdict of not guilty, arguing the state failed to prove its case. “They haven’t done anything to prove the defendant’s state of mind," Herbert said, adding the state didn’t show Van Dyke acted with intent to kill McDonald. Prosecutors contend Van Dyke’s intent is shown in the fact that he pulled the trigger 16 times. Gaughan swiftly denied that motion, saying the state has proven its prima facie case. The defense will begin presenting its case when court resumes Monday morning. But even before they do, Fraternal Order of Police Lodge 7 President Kevin Graham believes the prosecutors should withdraw from the case. “The case for first-degree murder has not been made against Mr. Van Dyke,” he told media following Thursday’s hearing. Below, more coverage from day four of the trial. Get recaps here from day three, day two and day one of the trial. Torres and his son, Xavier, were on their way to the hospital when they pulled over on South Pulaski Road and watched as McDonald was shot and killed. “I said ‘Why the f--- are they still shooting him when he’s on the ground,’” Torres testified. Xavier Torres took the witness stand earlier this week. His father on Thursday said McDonald appeared to be walking away from officers and didn’t appear to make any threatening movements. On cross-examination, defense attorney Randy Rueckert intimated the elder Torres had an obstructed view of the shooting and was too far away to see exactly what happened. But Jose Torres was adamant that he was able to see the full shooting. The prosecution’s use of force expert admitted McDonald posed an “imminent threat” to police because he was armed with a knife. But he believes Van Dyke faced no “imminent risk” of injury or death when he began firing his handgun. 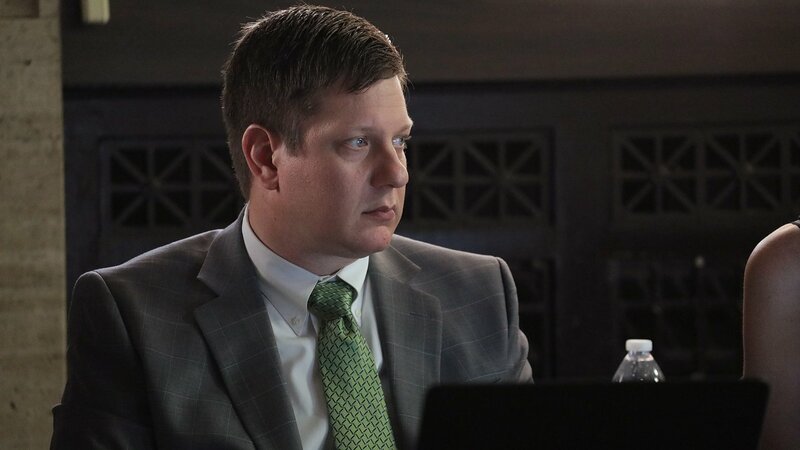 Retired FBI special agent Urey Patrick testified that Van Dyke was not justified in shooting McDonald because, in his assessment, the teen was walking away from officers and wasn’t “within arm’s reach” to injure or kill anyone with his knife. “I don’t believe the decision to shoot was justified in the first place,” he said. Patrick, who now works as a trial consultant and use of force expert witness, said he reviewed the dashcam video of McDonald being shot in rendering his assessment. He believes officers at the scene were acting responsibly to try and “hem (McDonald) in” until a Taser arrived on the scene. Patrick said officers are justified to use deadly force when they face an imminent risk of injury or death. But once that risk is gone, he said it’s incumbent on officers to stop firing. Van Dyke fired multiple shots at McDonald after the teen collapsed to the ground. Laquan McDonald’s mother, Tina Hunter, made her first appearance in court since the trial began. She sat beside the Rev. Jesse Jackson in a row reserved for “special prosecution” observers. Hunter has not spoken publicly since her son’s death and previously dodged multiple state and defense subpoenas calling her to testify at a pretrial hearing. She eventually appeared during a hearing earlier this month after Judge Vincent Gaughan threatened to bar her from attending the trial if she didn’t show. It remains to be seen if Hunter will be called as a witness to testify about McDonald’s troubled upbringing. FBI ballistics expert Scott Patterson took the stand to testify about the Smith & Wesson semiautomatic handgun Van Dyke used the night of the shooting. Patterson presented a video of an expert FBI marksman shooting a gun similar to Van Dyke’s as quickly as he could at a stationary target. That agent fired 16 shots in under four seconds. Another FBI agent was asked to re-create Van Dyke’s rate of fire – 16 shots in 14 seconds at a distance of about 10 feet – while firing at a stationary target. Jurors watched both videos. When questioned about the first video, Patterson said it would be difficult for any FBI agent or trained shooter to replicate that rate. But as for the second video, Patterson said that rate is much more obtainable. 10:12 a.m.: How Consistent Was Van Dyke’s Gun? Patterson said his office performs experiments on handguns and bullets. Specifically, how bullets react when they pass through certain substances – whether they are doors, glass or even “live tissue.” He estimates his offices fires “tens of thousands” of live rounds each year. He examined Van Dyke’s service weapon and testified about the consistency of the handgun. Patterson also played a role in creating an “enhanced” version of dashcam video of the McDonald shooting, which added green arrows to show bullets striking McDonald or the ground around him. Attorneys had previously discussed “puffs of smoke” that appeared on that video, but Patterson said that rather than smoke, those clouds actually contain dust and bullet fragments. “It’s not smoke from a fire, it’s debris of sorts,” he said. Court resumes Monday morning. Get complete coverage of the trial here.